Welcome to The Sweet Lounge, a place where everyone’s happy and chilled. We’ve got delicious, original, Italian gelato that’s low fat (less than 5%, yes, seriously) and made the artisan way with no artificial nasties, just natural ingredients and perfectly real fruit (you’ll get 40% real fruit in our sorbets). Add all this to homemade crepes, waffles, sundaes, smoothies and shakes and there’s no stopping you. 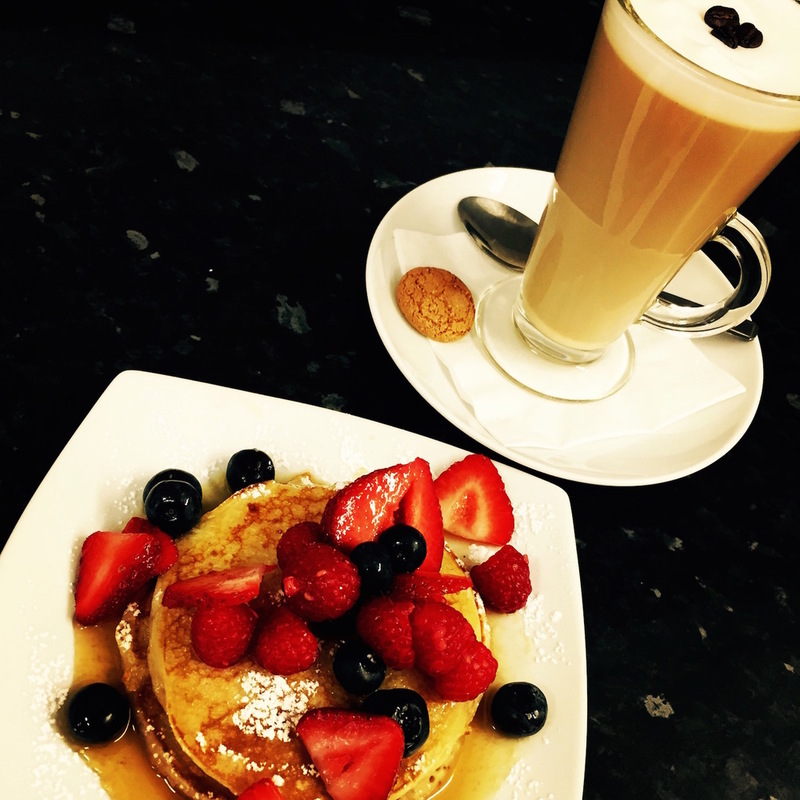 We also serve beautiful barista-style coffees, a selection of great teas, hot chocs and cold drinks, freshly made cakes and a sumptuous savoury crèpe selection to get stuck into too. We all love a bit of sweetness, so come on in and take your pick from the purest, lushest Italian gelato concoctions, add them to wickedly tasty crêpes, waffles, doughnuts and drinks or lap up some alfresco licks from the glass or cone. It’s not all about the ice ice baby, we like to mix things up a little here with the freshest fruits and feistiest flavours that go together to make epically yum dishes and drinks for you to dig and dive into with friends and feel the love Sweet love. Barista coffees - and just £1 before 11.30am everyday! We love making people happy - and we do it through the power of ice cream and coffee and the coolest of comfort and always, but always, service with a smile. Come to our happy place, think happy thoughts and share the love with Team Sweet. Everyone loves ice cream, but we all like quality and we all love choice. Sometimes we like toppings (marshmallows, nuts, sauces, M&Ms, Skittles, buttons, fudge, Crunchie, free sprinkles, you get the picture) and sometimes we like fresh squirty cream. Now and then we might like it in a cone (a plain one, a chocolate dipped one or a sprinkles one) or in a tub or even on a doughnut. Occasionally we’ll swap the menu round a bit and pick our favourite flavours and have them in a sundae or in a shake (Skittles shakes are the business). If we’re health conscious, we might ask about fat (there’s less than 5% in our gelato), gluten–free options (get yourself some sorbet scoops – most are 40% fruit and 100% lactose free – even the dark chocolate flavour). If you’d prefer skinny milk or soya, we can help and, if you’ve got any special dietary questions, ask away. We have a list of every ingredient that’s contained in every single gelato flavour. A word about nuts: some of our goodies do contain nuts, so we can't guarantee a nut-free environment - if you're concerned, please ask us. We'll do whatever we can to help.